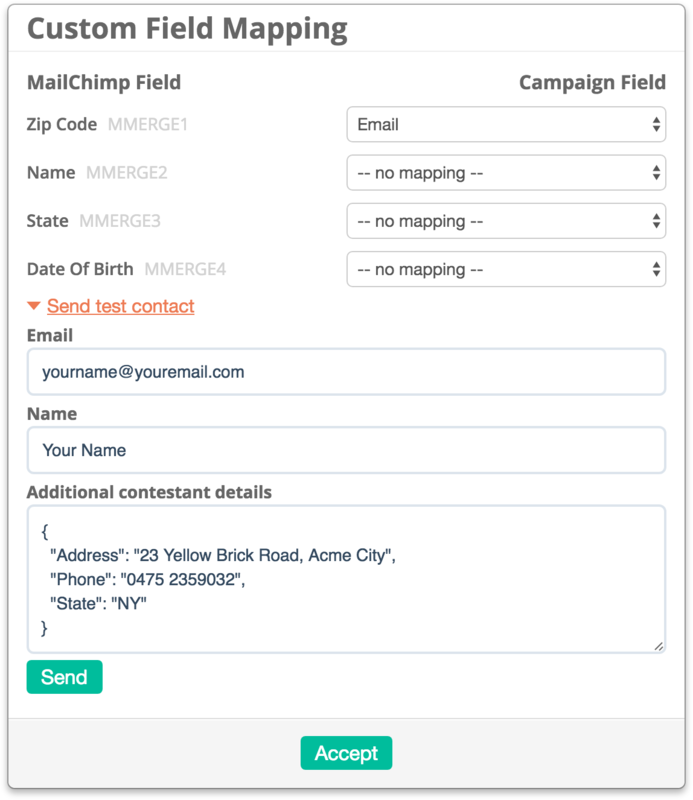 On Business plans and above we offer the ability to map any Custom Fields that you've added to your campaigns to matching fields on your connected email marketing provider. 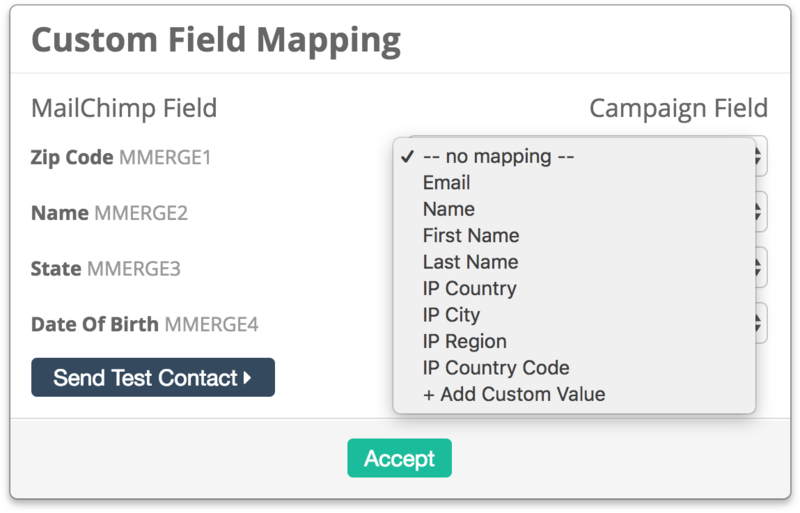 In order to map fields they must exist inside your email marketing provider first. 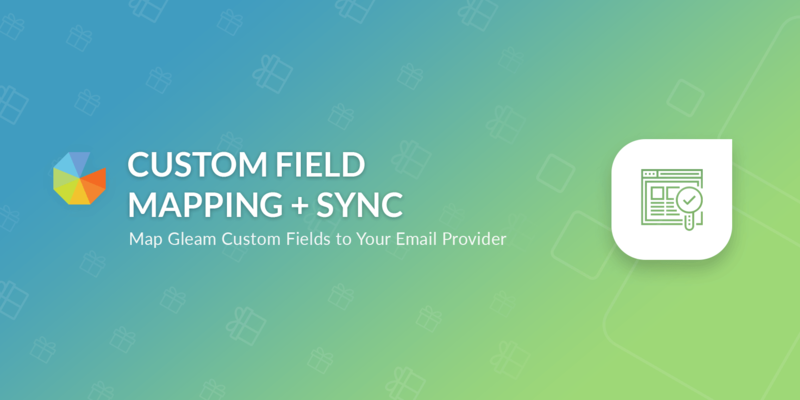 When you open the Custom Field Mapping modal we will check what fields exist, then allow you to map whatever Gleam field you want to email marketing provider field. Viral Share URL: Sync the users Viral Share URL to allow you to followup directly from your ESP asking users to share throughout the camapaign.